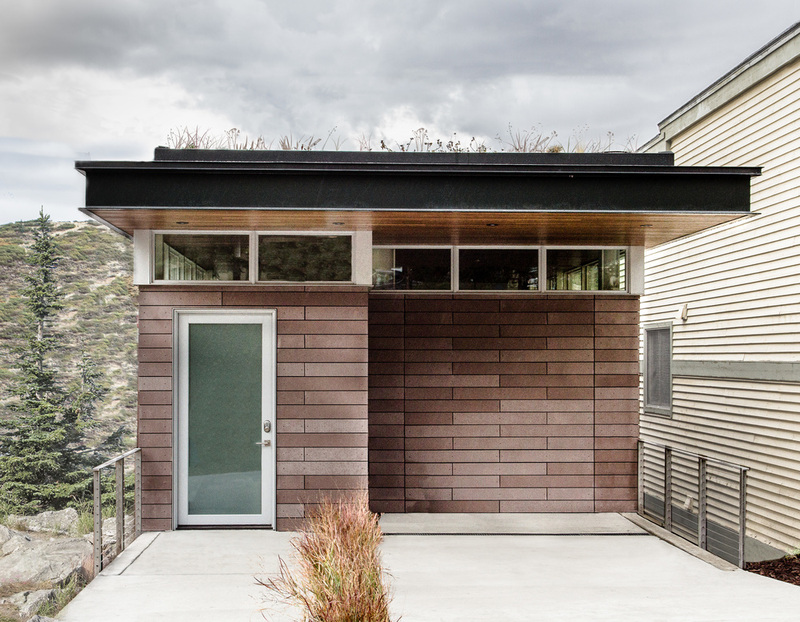 This contemporary vacation home adjacent to Park City Mountain Resort is a 2,400 SF, three-story home, located on a steep slope in the Historic Area of Old Town in Park City, Utah. The compact 25’x75’ site, typical of the mining era home sites, slopes down at a 20% to 40% grade. The strict historic guidelines defined all the area parameters and heights, as well as restricting the building materials and fenestration options. By addressing the guidelines and interpreting the historic requirements, the design was approved by the Planning Commission, thus being the first modern green home built in the Old Town Historic Area. 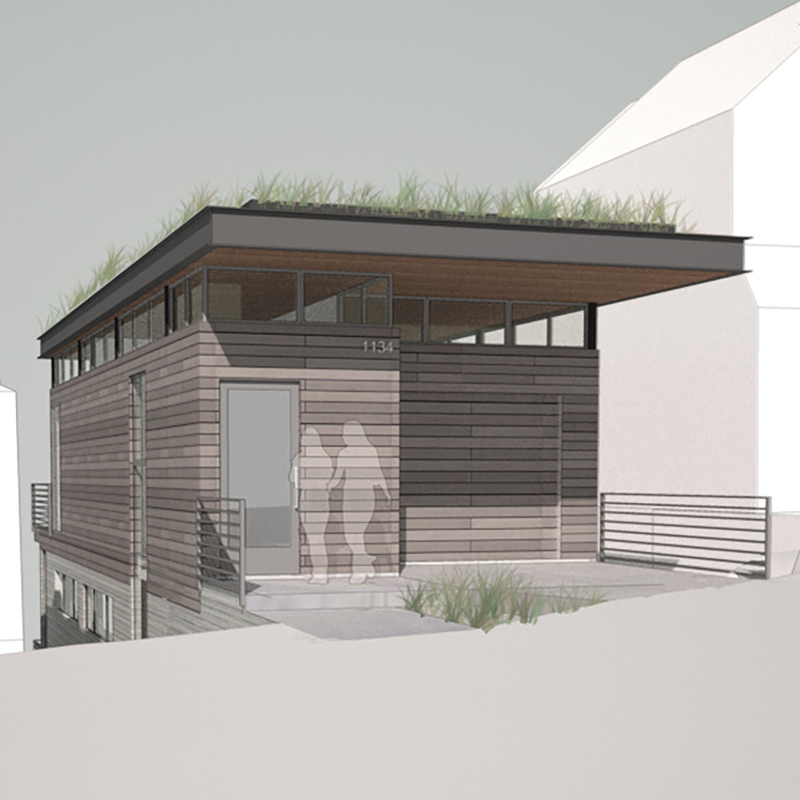 The project is intended to fit the home within its site context, provide a level of privacy in the building-dense environment, and to construct sustainably to meet or exceed LEEDTM Certification requirements. 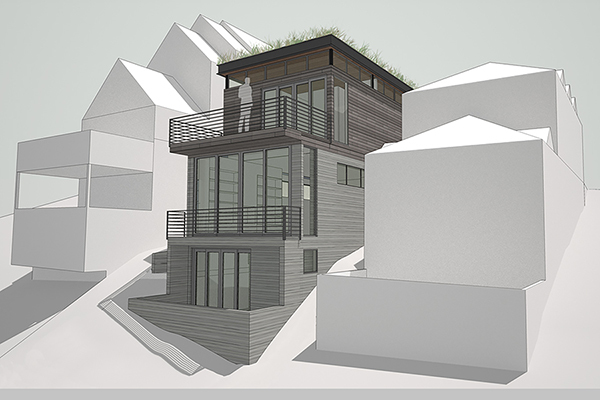 The home presents a low profile from the street, only rising thirteen feet above street grade. 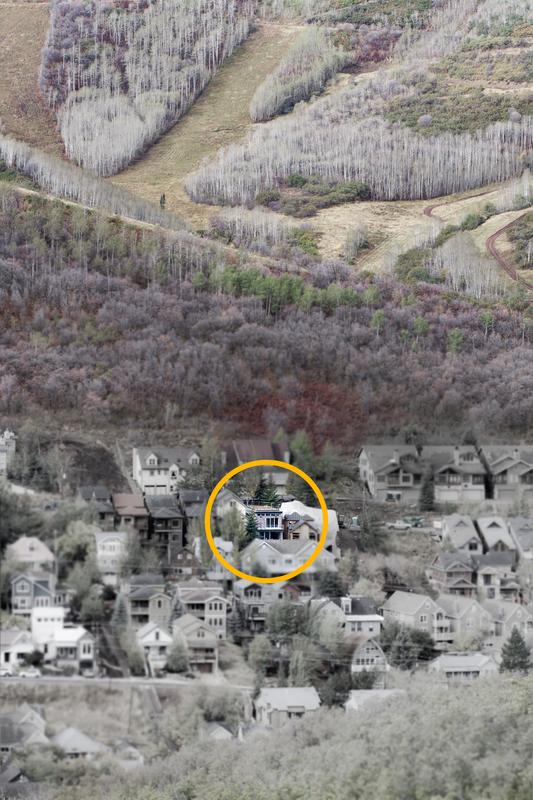 It incorporates materials that reference and complement - but do not mimic - the historic architecture of Park City. The entry to the home becomes the dominant form and is pulled forward on the site, allowing the garage to recede. 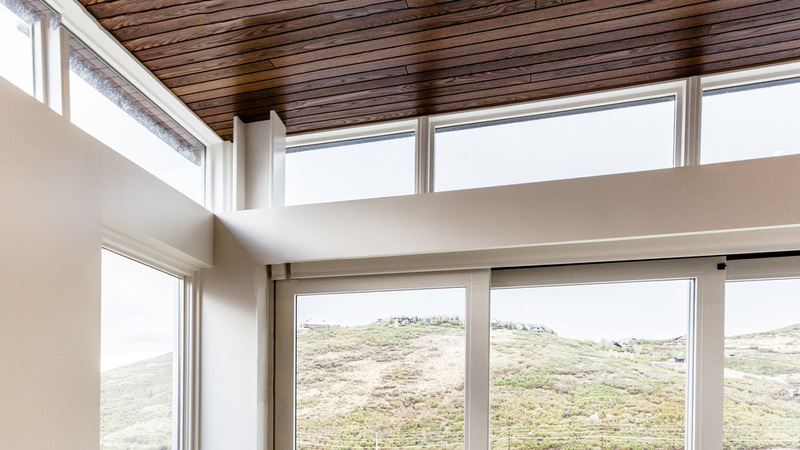 The glazing references the simple transom window systems found in the surrounding historic architecture, allowing exceptional day lighting of the spaces, while providing privacy between neighbors. The roof of the home is vegetated with a native sedum mix, and the landscape for the project is composed of native and drought tolerant perennials and grasses irrigated with a drip system.